On August 5th, millions of people around the world will tune in to the watch the opening ceremonies of the 2016 Summer Olympics. Will your family be among them? As my kids get older, they are becoming more interested in the Olympic games. They are learning that these are the best athletes in the world. However, I don’t think they comprehend that these individuals have worked fiercely, tirelessly and with great sacrifice to arrive at this moment and become an Olympian. 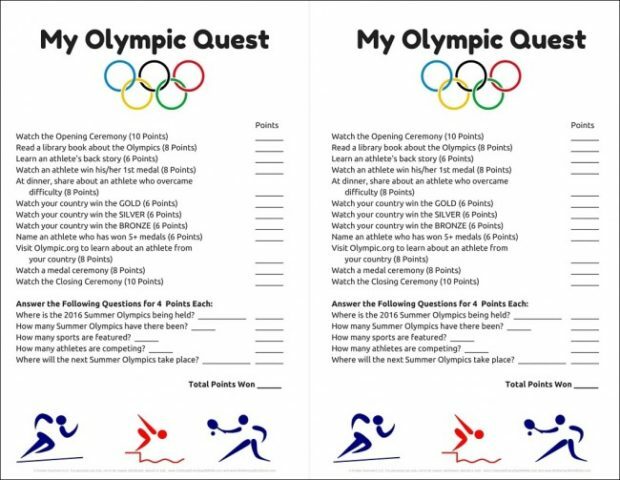 With the competitions about to begin, I thought it would be fun to create a little family quest for the Summer Olympic games. 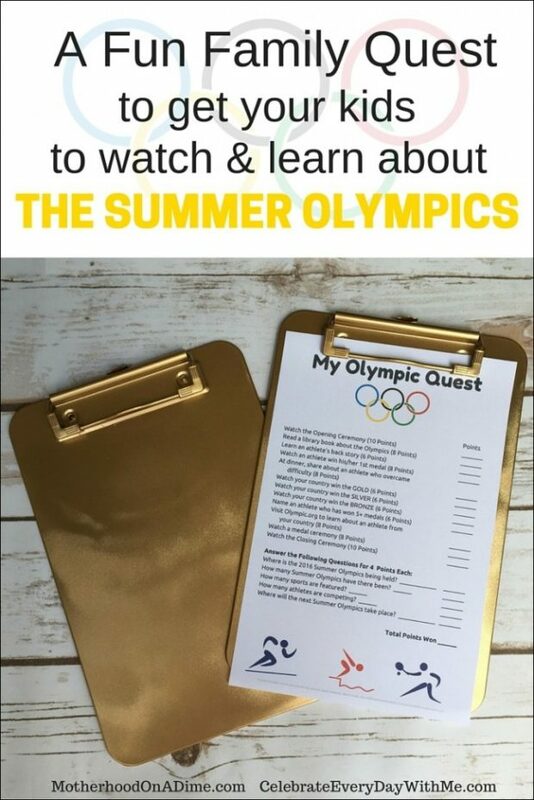 This printable will have your kids watching the games to see athletes win their first medal, hearing the difficulties that an athlete has persevered through and learning about the games, themselves. 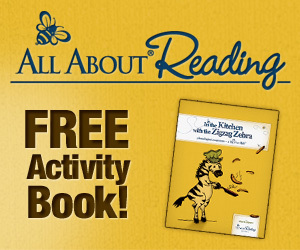 Your family members can earn points through different tasks, whether it be watching the Olympics on TV, reading a book about the Olympics or learning fun facts about the games. Use the www.olympic.org site to help with research or if all else fails, ask Siri. Now of course, all you really have to do is download the free printable below and get started. But if you know me, I like to get a little crafty as well. 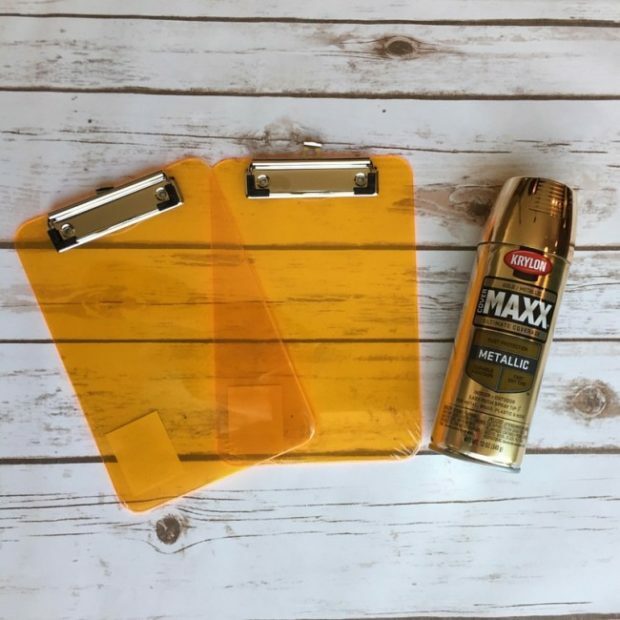 So I picked up two clipboards (half sheet size) and a can of gold spray paint. You should know that I’ve spray painted many things over the years, but this was my first time painting with gold spray paint. And let me tell you, I felt like King Midas. It was almost enchanting. With the touch of my finger pressing on the trigger, everyday items turned to gold. 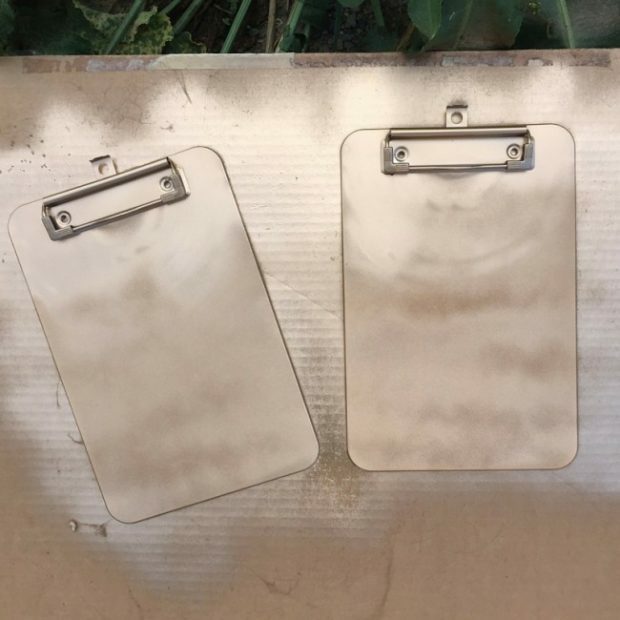 Don’t the clipboards look cool? 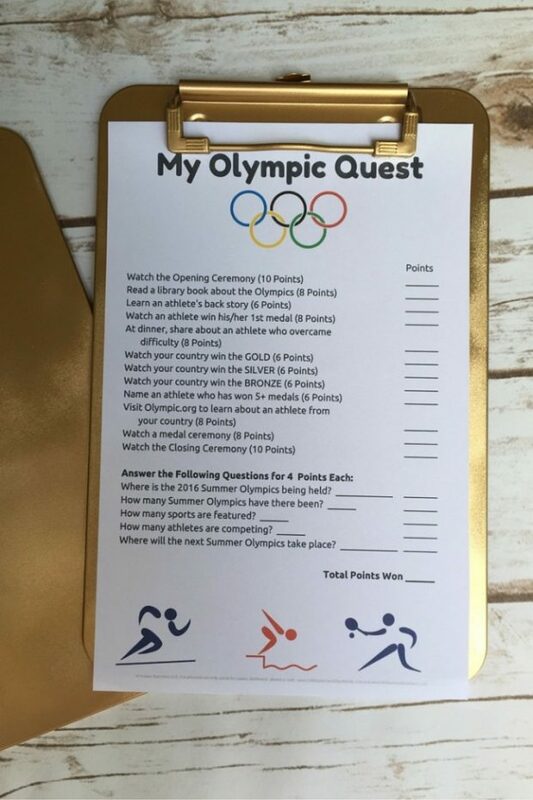 Once your clipboards are complete, download the free printable, My Olympic Quest, and get started! Now, enjoy the games and go for gold! 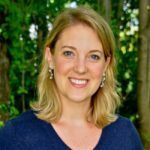 Kristen of Celebrate Every Day With Me is a fun-loving mom to two kids who keep her busy and laughing. Add her great husband and the Lord to the mix and her life is one fantastic (and sometimes crazy) adventure. She is a former youth leader, professional wedding and event planner and has a degree in Christian Thought/Christian Ministry. She loves long lists, diet soda and playing jokes on her husband. Kristen is the author of Teach Me To Serve: 99 Ways Preschoolers Can Learn To Serve & Bless Others. 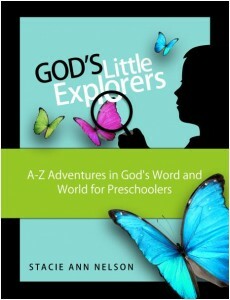 On her blog, you’ll find fun ideas for children’s activities, creating memorable moments and party planning.